When you’re following a gluten free diet, it’s important to not just think about the food you eat but the drinks you consume, too. While most soft drinks, like juices, pop and water, are safe to have on a gluten free diet because they contain absolutely no gluten at all, things aren’t as straightforward when it comes to alcohol. This doesn’t mean you have to become a house-bound recluse, avoiding Happy Hour drinks with your co-workers and turning down fun party invites from your friends. 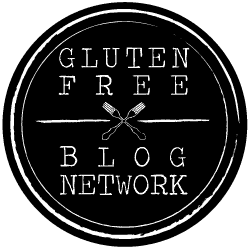 You just need to brush up on your knowledge and find out what alcohol is gluten free and safe for you to enjoy as part of a gluten free diet! Brace yourself for some bad news, beer drinkers: most beers are not #glutenfree. Click To Tweet Beer is made from hops and barley which are loaded with gluten and not safe for coeliacs or anyone following a gluten-free diet. This applies to almost every type of beer, whether it’s light or dark, local or imported. But all is not lost! As more and more people embrace a gluten free diet, more breweries are developing great-tasting gluten free beers. Most gluten free beers are still made with hops and barley, but they undergo a special process which removes all the gluten from the finished product. Other gluten free beers skip the traditional ingredients altogether in favour of gluten-free alternatives such as buckwheat and sorghum. Not only does using these ingredients guarantee that the beer is totally gluten-free, but it also gives the beer a smooth, distinctive taste you don’t get with the standard drink. If you can’t get a hold of gluten free beer and you want something fizzy and refreshing, cider is a fantastic alternative. Brewed from apples or pears instead of barley and hops, most ciders are naturally #glutenfree Click To Tweet and are available pretty much everywhere you can buy beer. Delicious fruity ciders in all kinds of flavours ranging from mixed berries to mango and passionfruit are becoming increasingly popular. And although they taste wonderful, flavoured ciders so sometimes contain gluten. To be on the safe side, double check with your server or barman that the cider you’re ordering is gluten-free or carefully read the label if you’re buying it from a shop. Just like cider, most wines are also gluten free because they’re made from grapes which contain zero gluten. Although the ingredients that make up wine are gluten free, the process which goes into making wine can sometimes introduce gluten into the final product. Some types of wines are aged in oak barrels for added flavour. And to stop the wine from seeping out of the barrel, wine producers often use a wheat paste to seal the gaps. This would result in a wine with fewer than 20 parts per million of gluten (the maximum allowed for a product to be classed as gluten free). However, someone with a very sensitive gluten allergy could still experience a reaction. Other ways that wine can become unsafe on a gluten free diet is when certain colourings or flavourings are added. A great example of this is dessert wine, which is often coloured a deep yellow and sweetened with products that may contain gluten. Overall, for most people following a gluten free diet, wine is considered safe to enjoy. Most experts agree that distilled alcoholic drinks, even those made from grains which contain gluten, are safe to consume on a gluten free diet because the gluten is removed during the distillation process. Are vodka, rum and tequila gluten free? If you’re not convinced that distilling removes the gluten in spirits, play it safe and only drink vodka, rum or tequila. These spirits are naturally gluten free and therefore totally safe to drink for anyone with coeliac disease, a gluten allergy or a gluten intolerance. Are whiskey, bourbon and scotch gluten free? Short answer: yes. Long answer: no. Whiskey, bourbon and scotch are made from ingredients which contain gluten. Click To Tweet But if you believe what the experts say, you can rely on the information that all the gluten is removed during the distillation process, making these spirits safe to drink on a gluten free diet. Some coeliacs and people with a very high gluten sensitivity report negative reactions to drinking whiskey, bourbon and scotch, while others experience no bad side effects at all. Everyone has different tolerance levels, so if you’ve got a really strong craving for whiskey, bourbon or scotch that simply won’t go away, we recommend you test a very small amount, to begin with and take it from there. When it comes to gluten free food, it’s always better to be safe than sorry and it’s no different when it comes to gluten free alcohol. If you’re shopping for alcohol, read the label or do your research and look up trusted gluten-free brands before you head out to the shops. If you’re enjoying alcohol in a bar or restaurant, double check with your barman or server that what you’re ordering is gluten-free. That way you’ve got all your bases covered and can enjoy a drink without worrying about what it’s doing to your insides!